This Extraordinary Southern Estate is absolutely breathtaking! Enjoy the best of the best in this luxury home situated on 14+ acres overlooking the North Georgia Mountains. Beautiful exterior with expansive front porch. Detached 3-car garage. Warm and inviting entry way leads to spacious open floor plan on main level with massive windows to enjoy the mountain scenery. Gourmet kitchen featuring SS appliances, breakfast bar and granite counter tops - great for entertaining! Real hardwood floors throughout. Large bedrooms. Private deck located just a short walk through the woods! 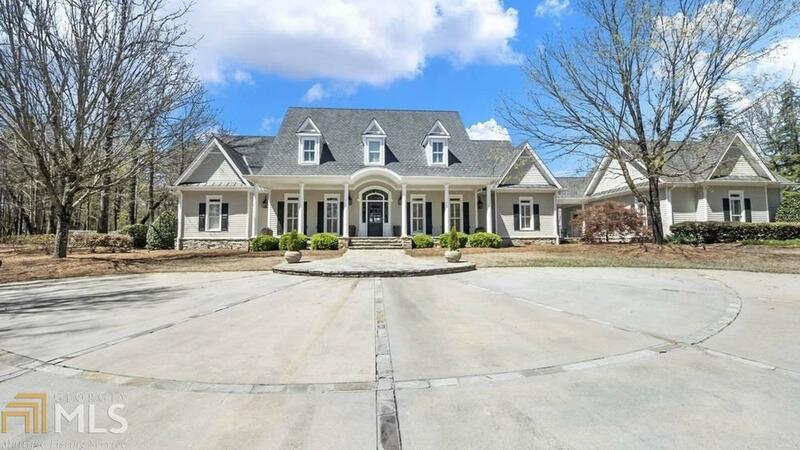 Don&apos;t miss this elegant home that looks like its right out of Southern Living magazine! Price Below appraised value. Directions: From Downtown Dahlonega: Turn Right On Wimpy Mill Rd. Left Onto Sky Country Rd. 1st Right Onto Hyalite Rd. Take First Left On Cloudland Road. Turn Left Onto Highland Rd. Take 1st Right Onto Old River Road.